Holy Trinity, Junction High St.& Vicarage Rd. A handlist of the records of schools and of other educational establishments held by Worcestershire Archives for this parish can be found here. 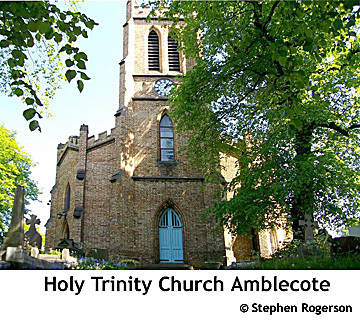 AMBLECOAT, a hamlet in that part of the parish of OLD SWINFORD which is in the southern division of the hundred of SEISDON, county of STAFFORD, ½ a mile (N.) from Stourbridge, containing 1157 inhabitants.